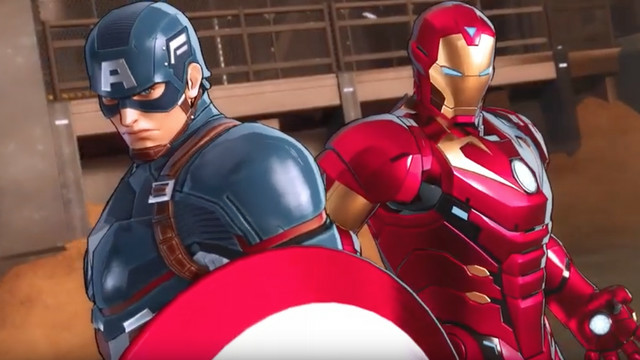 Nintendo showcased gameplay from Marvel Ultimate Alliance 3: The Black Order in today’s Nintendo Direct and flagged the game with a summer 2019 launch window. Team Ninja, best known for the Ninja Gaiden and Nioh series, is developing the ensemble action role-playing game. Today’s video also showed off Carol Danvers/Captain Marvel, whose feature film premieres March 8. Players will be able to team up online or play locally among four Switch systems. Characters from super-groups The Avengers, The Defenders, The X-Men, the Guardians of the Galaxy and more will take on ultra-baddie Thanos and his evil-sounding Black Order. Marvel Ultimate Alliance 3 is exclusive to Nintendo Switch. Nintendo and Team Ninja introduced it with a surprise announcement at The Game Awards back in December. It continues the very popular Marvel Ultimate Alliance series, whose first two games were published in 2006 and 2009 by Activision on a slew of sixth- and seventh-generation consoles and handhelds.